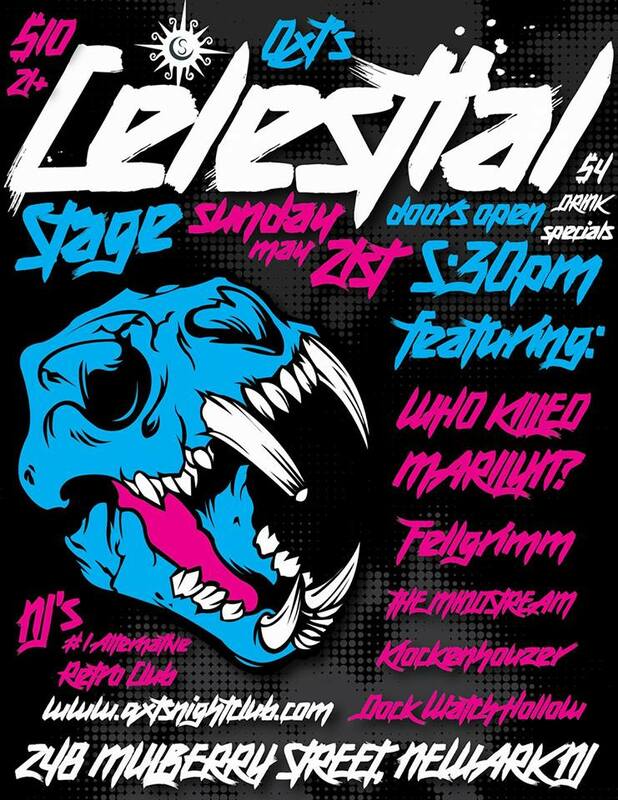 Celestial Stage The 3rd Sunday of the month QXT's (Official) opens at 5:30pm for LIVE original music from local artists with Celestial Stage!!! Celestial Stage is our platform to encourage and promote an ever growing music scene and drive forth the next generation of musicians and performers; helping our community in it's efforts to continue to develop a strong presence in the arts!!! Hosted and produced by Steven J. Mars with live sound by Ron Gonzalez of BlakkFoxx Productions, this event is scheduled for SUNDAY, May 21st. Our acts for this monumental show are Dock Watch Hollow, Klockenhouzer, The Mindstream, Fellgrimm, & Who Killed Marilyn?. We are also excited to have a special added bonus of Vonka Romanov dancing for our viewing pleasure, who will keep the show entertained throughout the night. There is a $10 admission upon entry. Please join us and help give your support as we reach for the stars and strive toward giving recognition to the creative spirit here at Celestial Stage.